Wearing a splint to stretch calf muscles may enhance blood flow through clogged leg arteries. After four weeks of stretching, people with clogged leg arteries had better blood flow and could walk further without discomfort. 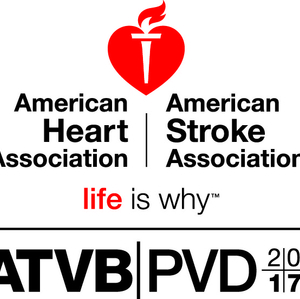 Minneapolis, May 5, 2016 — Simple calf muscle stretching may reduce leg pain when walking and increase blood flow for people living with peripheral artery disease, according to a preliminary abstract presented at the American Heart Association’s Arteriosclerosis, Thrombosis and Vascular Biology | Peripheral Vascular Disease 2017 Scientific Sessions. “This is a very safe, easy intervention that can be done at home and has the potential to really improve your tolerance for walking and get you into a walking program,” said Judy M. Muller-Delp, Ph.D., senior study author and professor of biomedical sciences at the Florida State University College of Medicine in Tallahassee. Peripheral artery disease (PAD) affects more than 8.5 million American adults and many are unaware they have it. The most common symptom in the lower extremities is a painful muscle cramping in the hips, thighs or calves when walking, climbing stairs or exercising. The pain of PAD often goes away when you stop exercising, although this may take a few minutes. If there’s a blood-flow blockage due to plaque buildup, the muscles won’t get enough blood during exercise to meet the needs. The “crampy” pain (called intermittent claudication), when caused by PAD, is the muscles’ way of warning the body that it isn’t receiving enough blood during exercise to meet the increased demand. In the current study, researchers evaluated 13 patients (six women and seven men; average age 71), most taking a statin drug and anti-platelet medications. Participants were instructed to passively stretch their calf muscle in 30-minute daily sessions using a splint that flexed the ankle about 15 percent. Walking ability and blood flow were measured after 4 weeks of calf stretching of each leg (5 days a week) and after 4 weeks without the special stretches. prolonged the distance they could walk before needing to stop and rest due to leg discomfort. Structured walking programs are a cornerstone of PAD treatment, along with medication and sometimes interventions to open clogged blood vessels. “A physical therapist can instruct you how to adjust and wear the splints correctly so you can do the stretches at home. There is no doubt about the benefit of exercise training on blood vessel health in PAD patients. If you have limited walking ability, I recommend that you at least perform muscle stretches so you can gain enough comfort and confidence in walking to participate in a walking exercise program,” said Kazuki Hotta, Ph.D., lead author of the study and a postdoctoral fellow in engineering science at the University of Electro-Communications in Tokyo. According to the American Heart Association’s 2017 Statistical Update, about 10 percent of people with PAD have the classic crampy pain symptom of intermittent claudication. Approximately 40 percent do not complain of leg pain, whereas the remaining 50 percent have a variety of different leg symptoms. Other co-authors are Wayne B. Batchelor, M.D. ; James Graven, A.S., R.V.T. ; Vishal Dahya, M.D. ; Thomas E. Noel, M.D. ; Akash Ghai, M.D. ; John N. Katopodis, M.D. ; William C. Dixon IV, M.D. ; Jegghna Chheda, M.S. ; Lia Liberatore, B.S. ; and Bradley J. Behnke, Ph.D. Author disclosures are on the abstract. This study is funded by the National Institute on Aging and Florida State University. Note: Actual presentation time is 6 p.m. CT/7 p.m. ET, Friday May 5, 2017. Photo shows the Healwell Plantar Fasciitis Night Splint which has straps across the foot, ankle, and mid-calf that connect to a brace that covers the back of the calf to to the bottom of the foot. Vertical straps hold the foot at the prescribed angle. 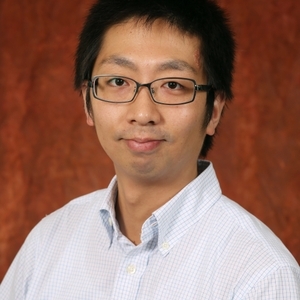 Kazuki Hotta, Ph.D., postdoctoral fellow in engineering science at the University of Electro-Communications in Tokyo.